The allegations listed in the House of Representatives Resolution against the National Pension Commission (PenCom) for infractions of the Pension Reform Act (PRA) 2004 as repealed by PRA 2014 are completely incorrect and unfounded, the Acting Directing-General, Mrs. Aisha Dahir-Umar, has said. 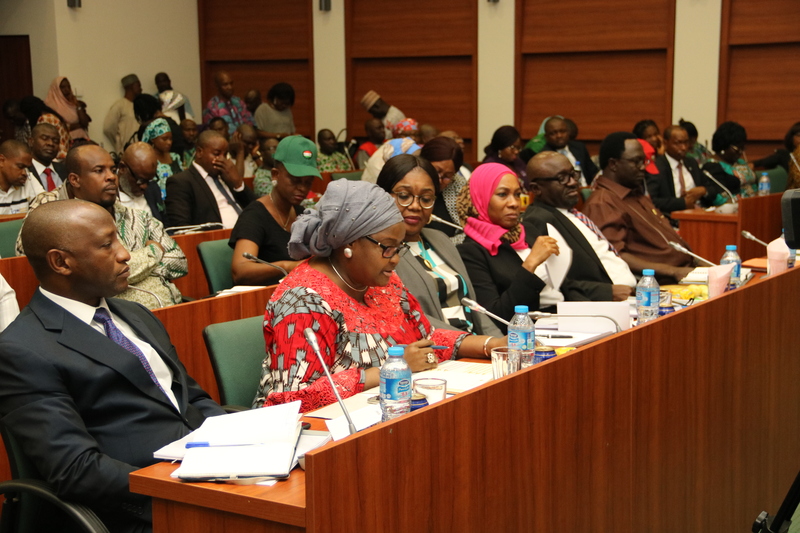 Mrs. Umar-Dahir, disclosed yesterday during the House of Representatives Ad-Hoc Committee Public Hearing to Investigate the Activities of PenCom and Violation of the Pension Reform Act (PRA) 2014 at the National Assembly Complex, Abuja. She said it is the contention of the commission that the House of Representatives was misled by the motion moved in the House on 29 November, 2018. “By virtue of Section 19(3) of the PRA 2014, the President has power to appoint the Chairman, the Director-General and Commissioners of the National Pension Commission, subject to confirmation by the Senate. The career staff of the Commission absolutely do not have any role or influence on decisions taken by either the Executive or Legislative arms of the Federal Government in the matter of appointment to the Board of the Commission. It is, therefore, incorrect to allege that the current transitional management is stalling the appointment or assumption of duty of the new Board members. “Illegal increase of Commission’s Staff End of Service Benefits by 300 per cent. Pursuant to Section 4(4)(a) of the PRA 2014, an employer may undertake to pay to his employees upon retirement, additional benefits other than the pension contributions into the Retirement Savings Account. Consistent with this provision and following the implementation of the Federal Government policy on 8-year tenure for Directors, the Board of the Commission approved, at its 46th meeting held on 12 June, 2015, an End-of-Service Benefits package for General Managers who have served for a minimum of five years on the grade. Furthermore, at its 235th meeting held on 4 August, 2016, the erstwhile EXCO extended on separate terms and conditions, the implementation of the End-of-Service package to cover all other staff of the Commission. The latter was not approved by the Board prior to its dissolution by the Federal Government. Based on the satisfactory submission by the Commission on all issues raised, the Committee that was dazed adjourned sitting to an unannounced date.